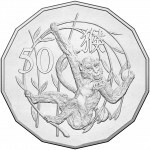 The 2016 50c Chinese Lunar Year of the Monkey Tetra-decagon Uncirculated Coin is struck by t.. 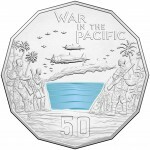 The 2015 50c Australian At War Themed War in the Pacific Coin is struck by the Royal Austral.. 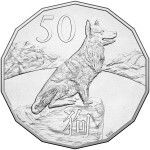 The 2018 Year of the Dog 50c Uncirculated Coin is sturck by the Royal Australian Mint. 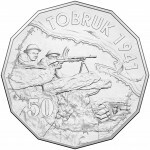 House..
2015 50c Australian At War Tobruk Coin is struck by the Royal Australian Mint. Housed in a s.. 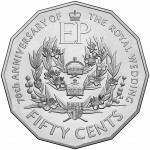 The 2017 50c Royal Wedding 70th Anniversary Uncirculated Coin is struck by the Royal Austral.. 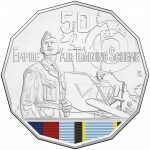 The 2015 50c Australian At War Empire Air Training Coin is struck by the Royal Australi.. 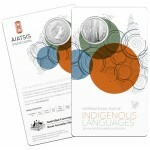 THe 2019 50c International Year of Indigenous Languages Uncirculated Coin is struck by.. 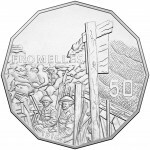 The 2016 50c The Battle of Formelles Uncirculated Coin is Struck by the Royal Australian Min.. 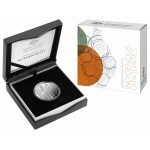 The 2019 50c International Year of Indigenous Languages Silver Proof Coin is struck by the R.. 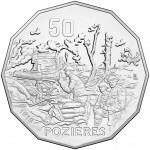 The 2016 50c The Battle of Pozieres Uncirculated Coin is struck by the Royal Australian Mint.. 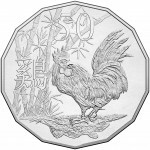 The 2017 Year of the Rooster 50c Uncirculated Coin is struck by the Royal Australian Mint. H.. 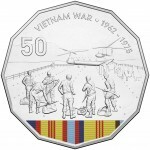 The 2016 Australian At War 50c Uncirculated Coin - Vietnam is Struck by the Royal Australian..